Scheda video ColorImage TSENG LABS ET4000AX 16bit ISA con 1 MB di ram. ColorImage TSENG LABS ET4000AX 16-Bit-ISA-Grafikkarte mit 1 MB RAM. Also tested on a 8 bit ISA slot. 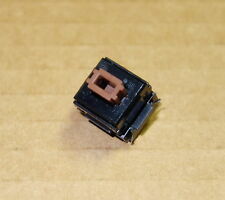 Testata su scheda madre socket 3 ECS UC4913 rev. 2.0 con am486 DX a 40Mhz e 32 MB ram. Simple to use, just plug it in and GO! 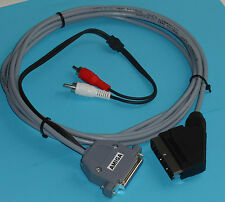 Commodore Key and Run/Stop to boot from your existing SD2IEC or Disk Drive . To save any confusion ! This device DOES NOT include a SD2IEC interface. 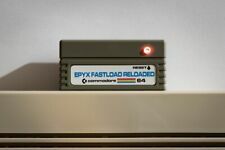 Epyx Fastload RELOADED. EMULATORE TAPE PER COMMODORE 64 CON 4 FUNZIONI IN 1. CON QUESTA INTERFACCIA POTETE CARICARE I FILE. TAP SU UN VERO COMMODORE 64 USANDO UN LETTORE MP3 O TRAMITE PC. SE USATE IL LETTORE MP3 I FILE. 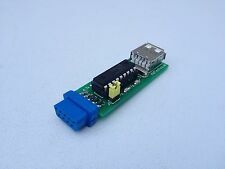 AJoy USB Retro Joystick Adapter für Atari Amiga Commodore Sega C64 mini uvm! Der aJoy USB Joystick Adapter ermöglicht den. nahezu jeder Joystick aus den 80ern lässt. sich mit dem Adapter verwenden. gerne zur Verfügung! Neues AngebotPI1541 - 1541 emulator for Commodore C64 NEW now supports OLED! Chicony KB-5191. Computer Keyboard. Computer Museum. This will make a great addition to your. PriorArt mit 250 Grafiken diverser C64-Künstler. It consists of 250 images by several C64 artists. It is possible to directly write to the ROM of the Commodore 64/128 computer. Diese Kosten trägt der Käufer. Pick up in Gloucester. In the UK our office is in Gloucester/England. We gladly assist you with any problem. Any queries will be answered as soon as possible. All our products are from selected factories and have been tested before sent out. 2x aJoy USB Retro Joystick Adapter für Atari Amiga Commodore Sega C64 mini uvm! Der aJoy USB Joystick Adapter ermöglicht den. nahezu jeder Joystick aus den 80ern lässt. sich mit dem Adapter verwenden. The motherboard box has a slight tear in the upper left hand corner. You might notice there are slight scratches and marks on the top of the CPUs. TANDY SK-1100. Sold As-Is. Computer Museum. 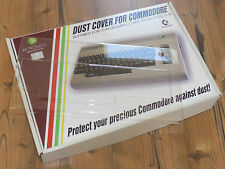 The Final Cartridge III+ for Commodore 64 / 128. CORRIERE SDA. VISTO E PIACIUTO COSI COM'E' ". Oggetto venduto con formula ". 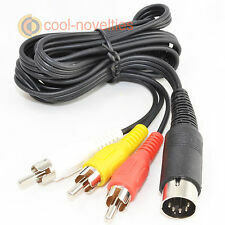 O Converter - Converts a three button or six button Sega joypad into an Amiga CD32 pad. CD32, A1200,A500, A600 & A4000 plus other Amigas as well as C64 / Atari etc. C=Right Shoulder button on CD32 pad. Manufacterd by Kray cables to our standards. 4 pin mini din male connector to a 4 pin mini din male connector. Quality molded coiled cable. This will replace cables for all Apple and Macs that have the 4 pin keyboard connectors. These 2 cables connect to the Gotek drive (not included) on one end and the CPC cables on the other. 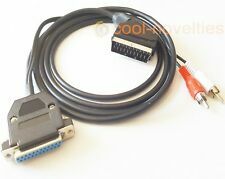 Amstrad CPC 6128 Gotek Cable Set contains The cables will also work for connecting a Gotek to a Spectrum Plus 3. We give you a link to the CP2102 driver download. This is the bare PCB only, no components or instructions are included. PCB is made from 1.6mm FR4 with white solder-mask, and ENIG finish. Parts list and build instructions can be found on the A1K Amiga forum. Der Aufbau ist nicht schwierig und in ca. 10-15 Minuten erledigt. Transparentes Plexiglas Acryl-Gehäuse für die ACA 500 (Amiga-Zubehör). 7 Acrylteile transparent & präzise lasergeschnitten. Alle Teile sind präzise lasergeschnitten und 100% passgenau - Made in Germany. GUS Gravis UltraSound Max 16 bit ISA expansion card. Old, but working.